On Sunday May 27th, WagonWheel Presents… welcomes Whitehorse to The Greystones. 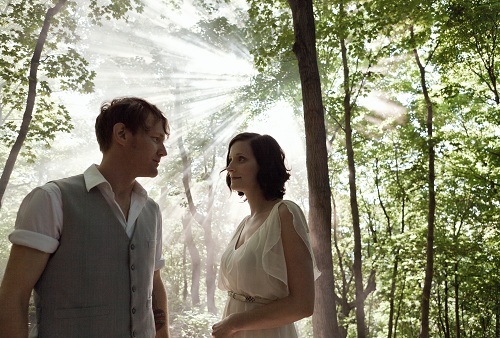 Combining the musical forces of Luke Doucet and Melissa McClelland, Whitehorse is the brand new band from the duo. Their self titled debut album is out now on Six Shooter Records. Support comes from Roaming Son. Advance tickets priced at £7 are available from http://www.wegottickets.com/event/152018 or entry on the night will be £9. Doors open 7.30pm for an 8pm start. Six Shooter Records’ Melissa McClelland and Luke Doucet tie the musical knot with the debut of their new band, Whitehorse, marrying their talent and chemistry on stage as a smoldering duo. Gutsy and resolute in their pursuits of sound and substance, Luke and Melissa’s fusion of the personal and professional brings to mind the road-tested romance of Johnny and June. Individually, Luke and Melissa have been recognized with awards and nominations from the Juno Awards, the Canadian Folk Music Awards, the Hamilton Music Awards, the Independent Music Awards and Polaris. Together, Luke and Melissa create music that cascades forth, rushing like currents fluid and electric. More than the sum of considerable talents, Whitehorse showcases the rarity of true give and take in partnership, uniting falcon with songbird to dramatic effort. Whitehorse breaks headlong and heartstrong in pursuit of it all, cards on the table, everything on the line. Luke and Melissa figure the odds the way travelers count miles, undaunted by twists and turns of luck and road, so let dice and wheel roll. 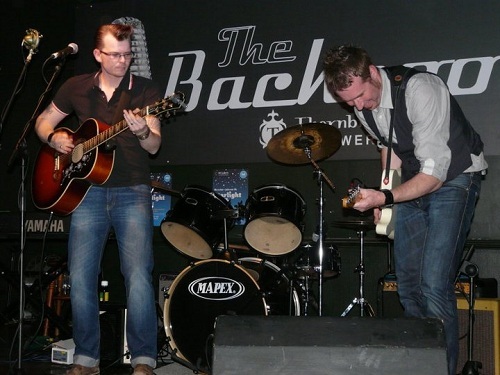 Roaming Son are a Sheffield based band that mix earthy heartfelt vocals with twangy dirty guitars, greasy bass and jungle drums to create a sound that is influenced by the classic rock’n’roll recordings of the 50′s / 60′s but while adding a distinctive modern flavour. From brash to beautiful, the sound of chainsaws & rainbows. Tonight however they will be performing a stripped down duo set.